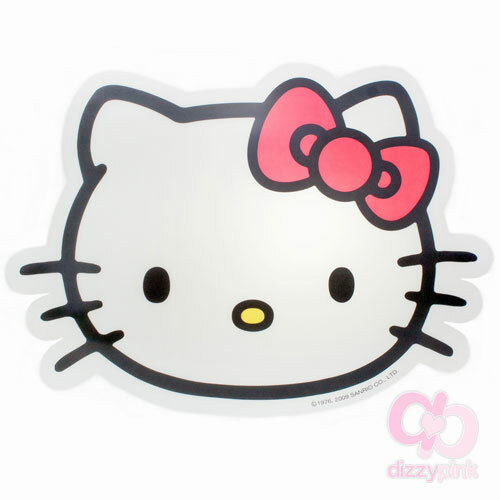 Add some Hello Kitty style to your vehicle with this sweet self-adhesive stick-on car emblem. It features both a sitting Hello Kitty with a chrome outline and a fully chromed Hello Kitty logo. This product allows you to customise even the most boring vehicle into something Kitty-tastic and share your love of Hello Kitty with your fellow road users. With easy application and care instructions included it will not be long until you and Kitty are on the open road together! See our website for more Kitty car accessories! (H) 16 x (W) 15 x (D) 1cm.